Blurb: Cameron Dunlop has lived in the Lowcountry town of Summer Corners, South Carolina, his whole life. 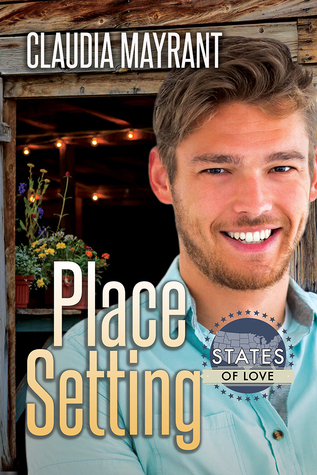 He loves his home, but his little town in the Deep South doesn’t offer much in the way of dating options. Chef Gray Callahan has enjoyed success in the kitchen, but his last relationship sunk like a bad soufflé. When plans for his sister’s wedding go awry, it provides the perfect excuse to pack up and go home, where he can help out as he decides how to start his life over. Gray’s path crosses Cameron’s, and he realizes together they might have all the ingredients to save the day—with maybe enough left over for something sweet just for the two of them. Review: Gray Callahan’s love life is going down the drain – and when his sister needs his help with her wedding, Gray thinks it’s a good excuse to pack his life up and go back home to Lowcountry town of Summer Corners, South Carolina. Cameron Dunlop never thinks that he will see his high school crush again, renting a cottage that he takes care of. On top of that, he’s also gay!! (yes, Cameron always assumed that Gray is straight). So, can Cameron get another chance with the ex-star student athlete turned chef? I think Place Setting fits the ‘coming home to the small town’ trope perfectly. This is one of my catnips in romance reading. I LOVE the sense of Lowcountry town – I think Claudia Mayrant successfully transported myself to the charm of this small town. I also think Cameron and Gray have good chemistry – the initial flirting is cute!! It also helps that Gray is not one of those characters who hates his small town… he just thinks he can do better if he moves out. But he never acts like he’s better than anybody else who decides to stay in town. Although as it gets near the ending, everything seems to be rushed, especially with Gray helping with his sister’s wedding. I don’t know why the author didn’t make this book longer, because I think it would be a much better story, in my humble opinion.